Just like all water is not created equal, neither are all water treatment solutions. Water in the Tiffin and Fremont Area can be different than other parts of the the region — its quality depends on the climate, the makeup of the surrounding water table, and many other factors. In some situations, the water that comes out of your kitchen sink can differ from the water in your bathroom. It’s a complex resource, managed by a complex infrastructure, that requires attentive, experienced problem solving. Why Do You Need Water Treatment? Maybe it tastes a bit off? Or worst of all, is it contaminated with a tasteless, odorless contaminant such as lead, arsenic or radon? These are four of the most common water problems homeowners and renters experience, however, they often vary by region. So, in high deserts and other arid communities for example, most people will be dealing with hard water problems. For others, it may be a different mix of dissolved chemicals, like sulfur, that can cause neighborhood-wide issues like distasteful odors. The best way to find out what’s wrong with your water — if it isn’t immediately apparent — is to have your water tested. You can also get a home water test kit from a hardware store. (It usually takes about 15 minutes for your Culligan Man to sample your water and discuss the results with you.) If you opt for a home water test kit, make sure to do your research to understand what the home test kit will actually test for. Many DIY kits will catch obvious problems, but miss more nuanced issues, like off-balance pH, that could be causing problems in both taste, and extra hassle around the house for things like cleaning and laundry. So you’ve tested your water and found out it’s hard, or contains more dissolved sulfur than you like, so you’re getting that whiff of rotten egg when you run the shower. You could head to your local Home Depot or Lowes and test your luck in the water treatment aisle. Chances are, you’ll come across products from Aquasana, GE, PUR, APEC Water Systems, Pelican, among others. And for every brand that’s available, there are at least as many types of products. Some are specifically designed for softening. Some for water filtration. Some feature advanced technology like reverse osmosis. Some filter the whole house water supply, and some filter the POU (Point of Use, like a kitchen sink, for example.) You’ll find systems ranging anywhere from several hundred to several thousand dollars for a solution that may or may not work to treat what’s really wrong with your water. The problem with out-of-the-box solutions at big box stores is that they can’t account for the regional idiosyncrasies of water, let alone the specific motivations you have for treating your water. The solution you need, for example, if your water tastes soapy or feels slimy, will require a different solution than if you’re sick and tired of dealing with soap scum and hard water buildup around your house. You may also not need to pay for an entire home water treatment system, for example, if all that’s bothering you is your water’s taste. We often work with people who’ve been frustrated standing in the aisle at Home Depot, because there are simply so many options. And what happens if you do know what to do (you want to soften your hard water, for example)…but you can’t find the right system to fix the problem? 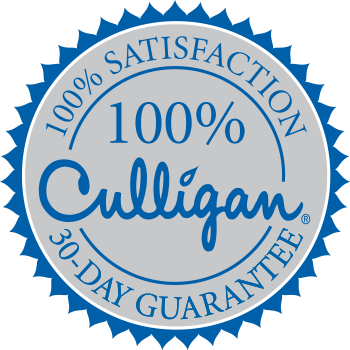 When you choose Culligan, you get a local water treatment expert who is specifically trained to test and diagnose your water, discuss treatment options, and find the solution that works best for you, your home, and your budget. They’re all backed by Culligan’s 80 years of experience diagnosing unique water issues and finding the best solutions for them. Test Your Water For Free Today! When you realize how unique water tables, plumbing, and municipalities are, it starts to make sense that you shouldn’t buy a water softener or filtration system like you’d buy a refrigerator or a washing machine. To get the best solution, consulting with experts who know their way around both water quality and water filtration systems is the best way to get the most bang for your buck. Contact us to learn more, or to schedule your free water test, today.